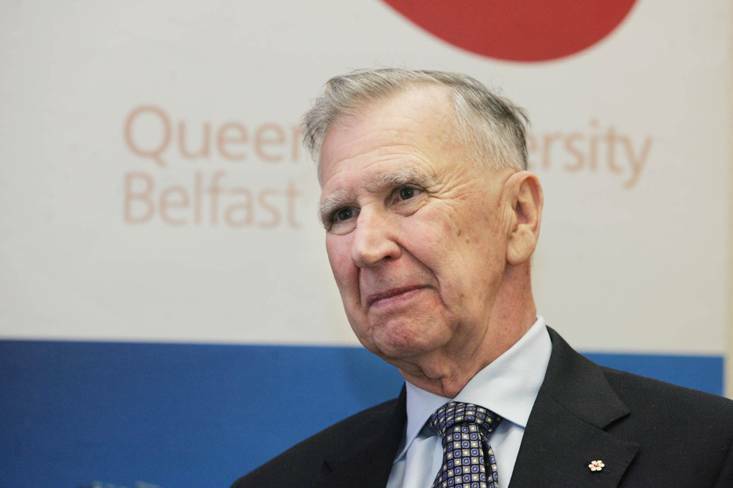 Following the long awaited publication of the Nelson inquiry, reaction to the report’s findings has been divided, with diametrically opposing views as to whether or not the inquiry did or did not find collusion. All that has been agreed is that the debate surrounding collusion remains as polarised as it was at the time of Mrs Nelson’s murder 12 years ago. The work of the inquiry itself received scant attention during the years when it was running, with public hearings only being intermittently reported by the media. In particular, public service broadcasters decided to stay away and only sporadically reporded on evidence given at public hearings. However the reaction which has greeted the inquiry’s findings has highlighted the real difficulties of “truth-recovery” exercises in general, including the receptiveness of both those being investigated and a wider audience to the final verdict. The first reaction to what the inquiry panel had found came from Secretary of State Owen Paterson, the minister who heads up the Northern Ireland Office, the government department which had come under close scrutiny and criticism by the inquiry. When Mr Paterson walked to the dispatch box in the House of Commons on Monday afternoon to announce the inquiry’s finding he was quick to alert MPs to the fact that the inquiry had ruled out collusion involving the NIO or the RUC. “There is no evidence of any act by or within any of the state agencies we have examined (the Royal Ulster Constabulary, the Northern Ireland Office, the Army or the Security Service) which directly facilitated Rosemary Nelson’s murder,” he told the House. But Mr Paterson’s interpretation of the Nelson report differed somewhat on the other side of chamber. The steadfastness of Mr Paterson’s position that the agencies of the state had been exonerated meant it inevitably became the focus of subsequent coverage. Mrs Nelson’s brother Eunan Magee accused Mr Paterson of attempting to put a “positive spin” on the report’s conclusions. “We believe the secretary of state has seen fit to gloss over any findings in the report which he thought were particularly damning," he said. “If it sounds like a duck and it walks like a duck, well, the chances are.."
The remarks and the handling of the publication of the Nelson inquiry were in marked contrast to Prime Minister David Cameron’s announcement of the findings of the Bloody Sunday inquiry in June 2010. Mr Cameron won both national and international praise when he described the shooting of 14 people on Bloody Sunday in January 1971 as “unjustified and unjustifiable”. “It was wrong,” the prime minister told the Commons, “These are shocking conclusions to read and shocking words to have to say. “But you do not defend the British army by defending the indefensible." However the issue of collusion, particularly post ceasefire in the late 1990s, clearly remains divisive and unresolved. What appears to have been forgotten in the seven years since Judge Peter Cory first recommended public inquiries into the deaths of Rosemary Nelson, Billy Wright, Robert Hamill, Pat Finucane and RUC officers Robert Buchanan and Harry Breen, is that these inquiries were specifically established to prove or disprove security force collusion in these killings. Nelson and Wright are the only two inquiries which have so far reported. However the public discourse surrounding both reports has seen much wrestling over the definition of collusion. Critics argue this has diverted attention away from what the reports were actually supposed to tell us about the conduct of those under investigation and instead have clouded the issue of how the reports’ finding should impact on the future for the agencies concerned. Critics further question whether these diversions have been deliberately used to obscure the very point of why inquiries such as that into the killing of Rosemary Nelson was established in the first place. In 2003 Judge Cory outlined his definition of collusion, stating: “There cannot be public confidence in government agencies that are guilty of collusion in serious crimes. “Because of the necessity for public confidence in the army, the police, and security services the definition of collusion must be reasonably broad when it is applied to actions of these agencies. “This is to say that army and police forces must not act collusively by ignoring or turning a blind eye to the wrongful acts of their servants or agents. “I am satisfied that there is evidence of collusion by governmental agencies in the murder that warrants holding a public inquiry." A year earlier in April 2003, Britain’s most senior police chief, Sir John Stevens, announced that he had found evidence of security force collusion in the murders of solicitor Pat Finucane and Protestant teenager Adam Lambert. 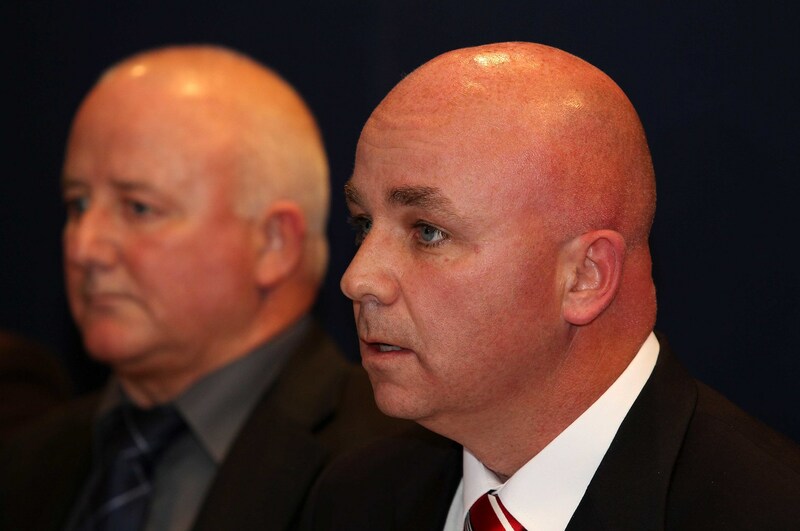 “I have uncovered enough evidence to lead me to believe that the murders of Pat Finucane and Brian Adam Lambert could have been prevented,” he said. “I also believe that the RUC investigation of Pat Finucane’s murder should have resulted in the early arrest and detection of his killers. In January 2007 then Police Ombudsman Nuala O’Loan adopted these two definitions of collusion when reporting of the actions of RUC Special Branch officers and Mount Vernon UVF informer Mark Haddock. However, despite Judge Cory’s initial definition of collusion a different course was adopted by the Wright and Nelson inquiries. The subtle changes went largely unnoticed by the outside world. When the inquiry into the LVF’s leader’s murder was established in 2005 chairman Ranald Maclean opted for a more restrictive definition, which stated that collusion could only be proved if it could be shown that officials in positions of authority had deliberately agreed to commit unlawful acts. When the Nelson inquiry was established, chairman Lord Michael Morland chose not to define collusion at all. In total, collusion was mentioned just 57 times in the 505 pages which made up the Nelson inquiry’s final report. In the vast of majority of instances in which collusion is mentioned in the report, it relates to witness allegations of wrongdoing against the security forces. The inquiry team itself makes no reference to collusion anywhere in its two and a half page conclusion. But what impact will the Nelson inquiry have on society? 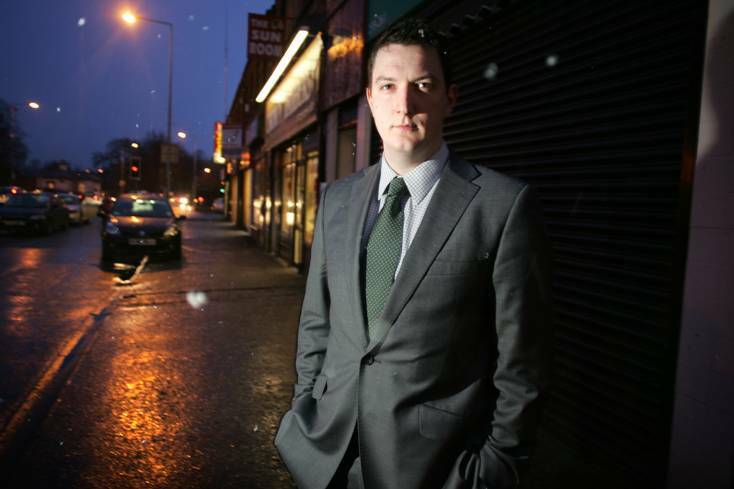 Pat Finucane’s son, John, has raised concerns over the establishment’s apparent agenda to play political semantics with the findings of the various inquiries. “I am worried about the way they are trying to dilute the definition of collusion,” he said. “Stevens and Judge Cory’s definition of collusion had no agenda and was very much an impartial and democratic interpretation of what collusion should mean. “However since Cory and Stevens, agencies like the NIO and the current Police Ombudsman’s Office have done their best to dilute that definition of collusion and tried to move away from it. “The element of spin was very disappointing. “To a lesser extent it’s the cover up continuing, when the government can’t even deal with what’s in the report in an honest and fair fashion, as opposed to embracing it and making it very clear that this was something which went wrong in the past and it will never happen again. “My father thought that most of the NIO complaints mechanisms or the benefit of security from the state would either be ineffective or wouldn’t be forthcoming. “But Rosemary did speak out publicly and she did ask for help and protection. “She went to America, to the United Nations and still no one in authority here thought to offer her any help. “Instead they created a climate of danger and legitimized her as a target by leaking intelligence. “If that’s not collusion then I don’t know what it takes before they’re going to accept this. “Collusion shouldn’t be a dirty word for the state; they should admit what happened, but tell the public it’s never going to happen again. Former Police Authority member Chris Ryder is also critical of the secretary of state’s handling of the Nelson inquiry. 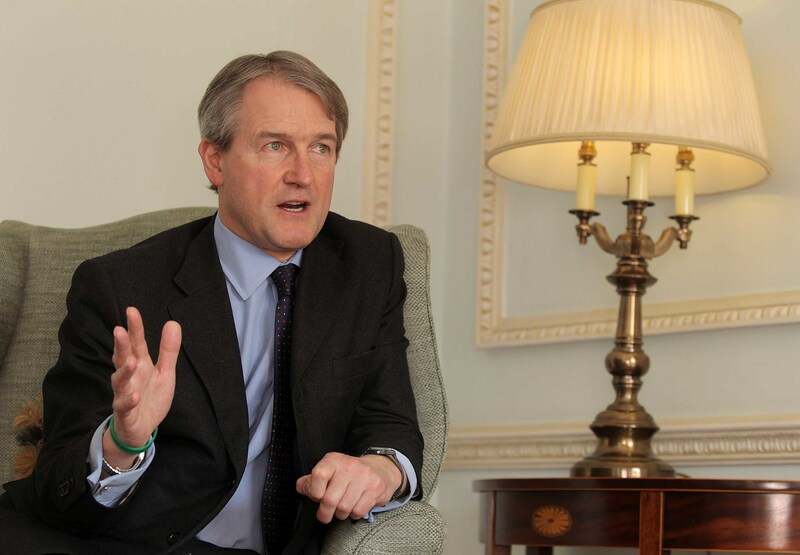 “I think he (Owen Paterson) was totally disingenuous,” he said. “He was trying to put a gloss on it, there’s absolutely no doubt about that. While Mr Ryder agrees with the secretary of state’s conclusion that there was no collusion in Mrs Nelson’s murder, he is nonetheless critical of Mr Paterson’s handling of the announcement. For him, though, the latest row raises wider questions about the nature of inquiries into the past. “If I was the widow or the son of a Troubles’ victim, who wasn’t one of these high profile cases, I would be extremely hurt. “There are many people nursing hurts and grievances and who deserve justice, whose cases don’t get any attention whatsoever. “All the focus is on the apparent misdeeds of the security forces. “There hasn’t been one word of attrition by the IRA or Sinn Fein and loyalists have only made only very conditional attrition. “The whole thing is a complete and utter shambles and my strong feeling is that if this society is to move on, it has to stop picking at the scabs, which have got to be allowed to heal.